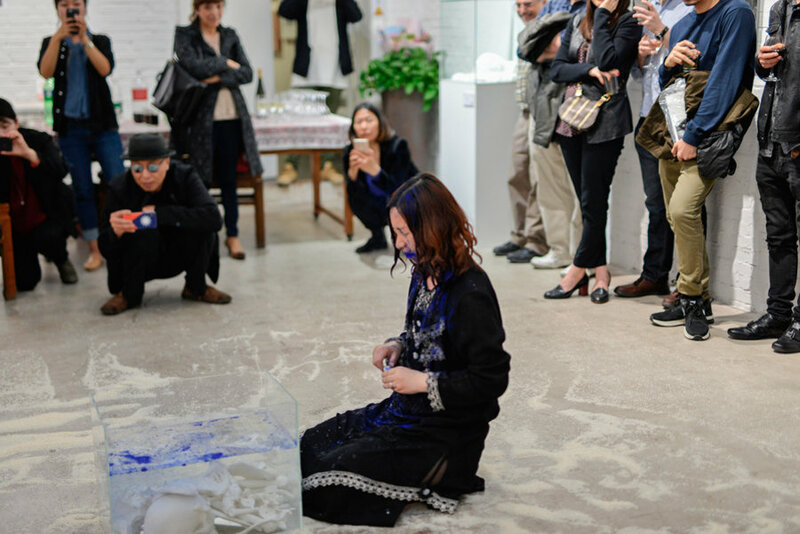 Mortaged Time is an international group exhibition at the Red Gate gallery in 798, Beijing. 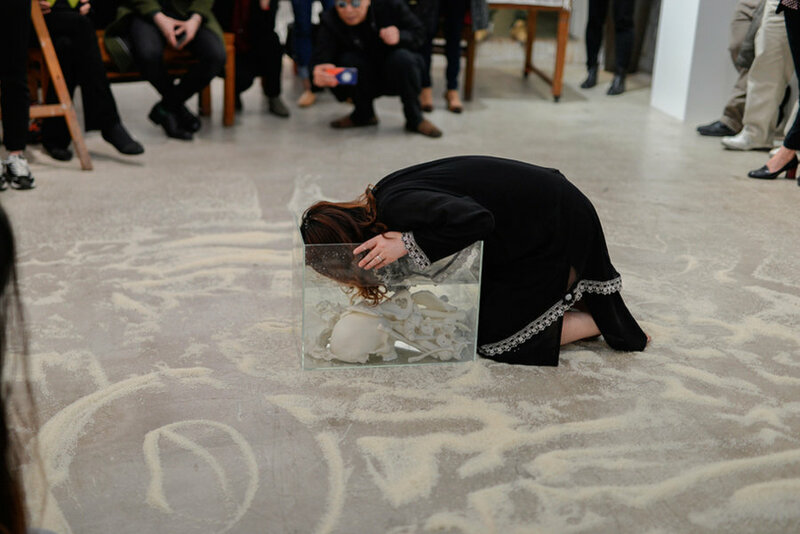 The artworks and performances pay homage to the post WWII posts Ingeborg Bachmann and Paul Celan. 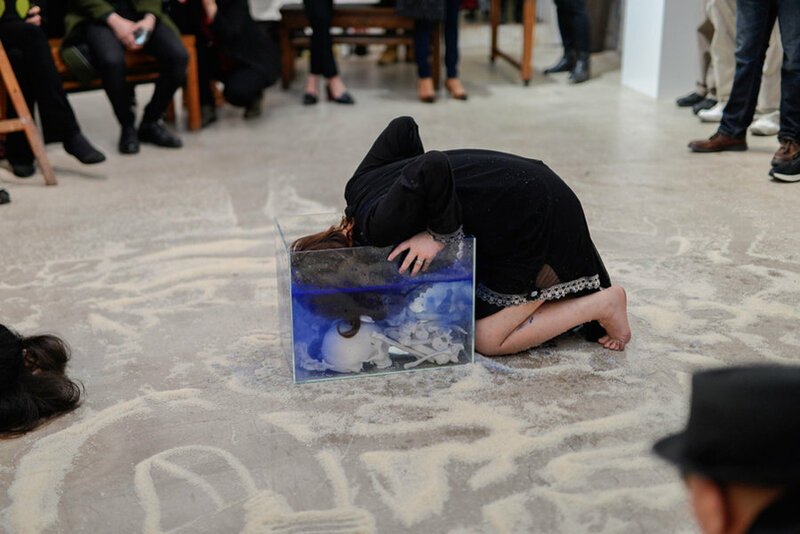 The exhibition is curated by Raimund Rosarius and the project is produced by Susanne Matz. 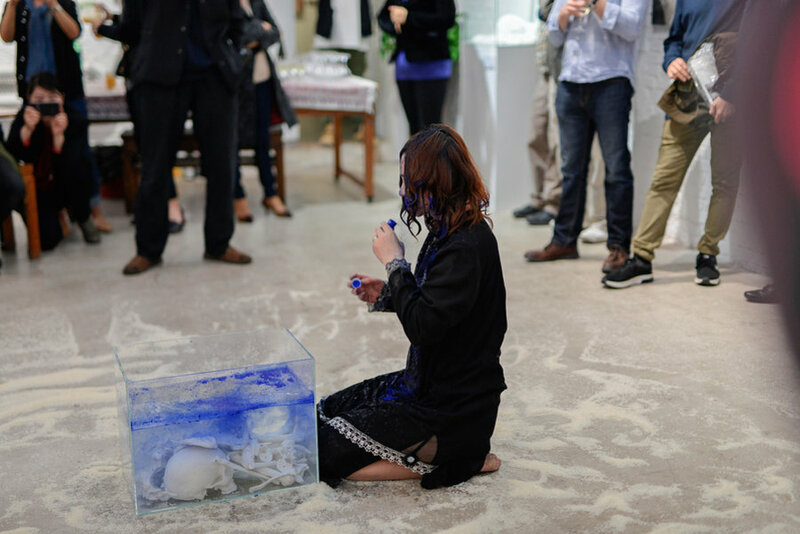 Anti-War Post Ingeborg Bachman spent her life’s work often using death as a motif, reflecting on the hidden forces of violence and oppression in society. 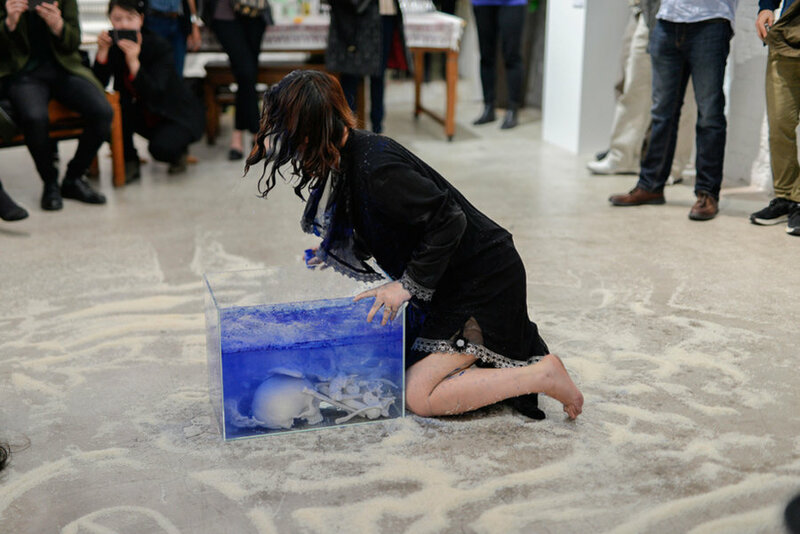 She was appalled and yet fascinst humanity were being committed on such a large scale even outside the boundaries of war. 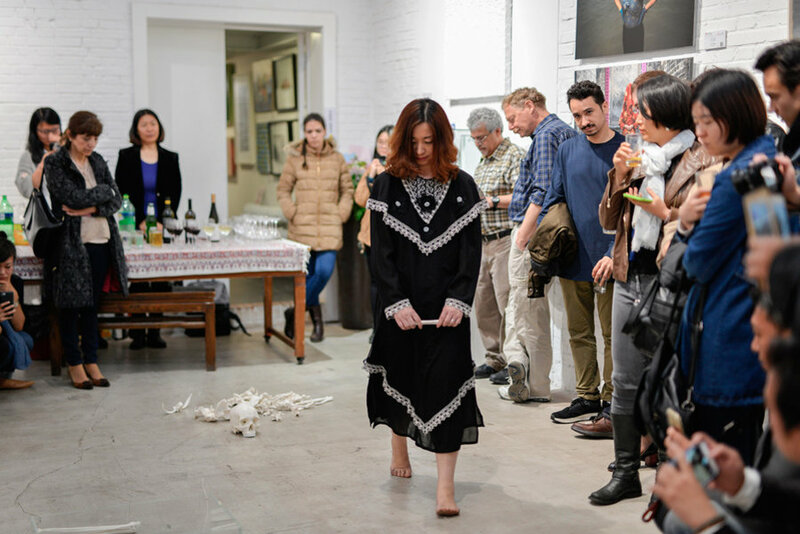 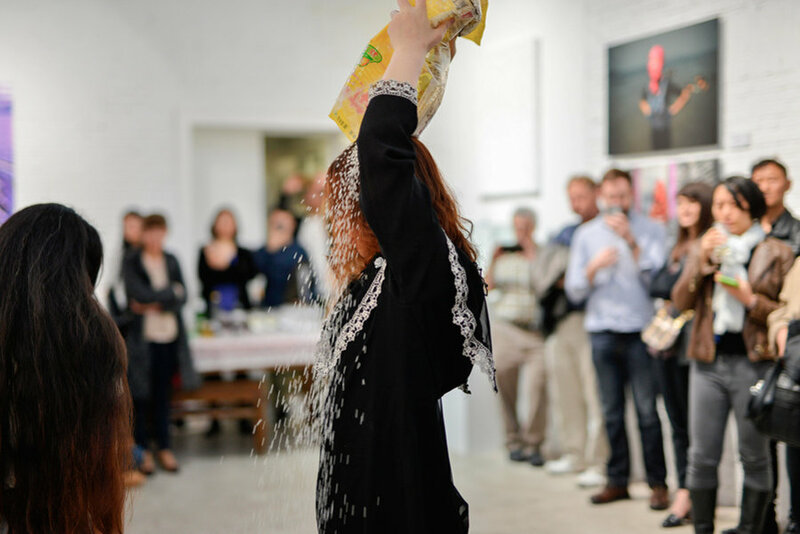 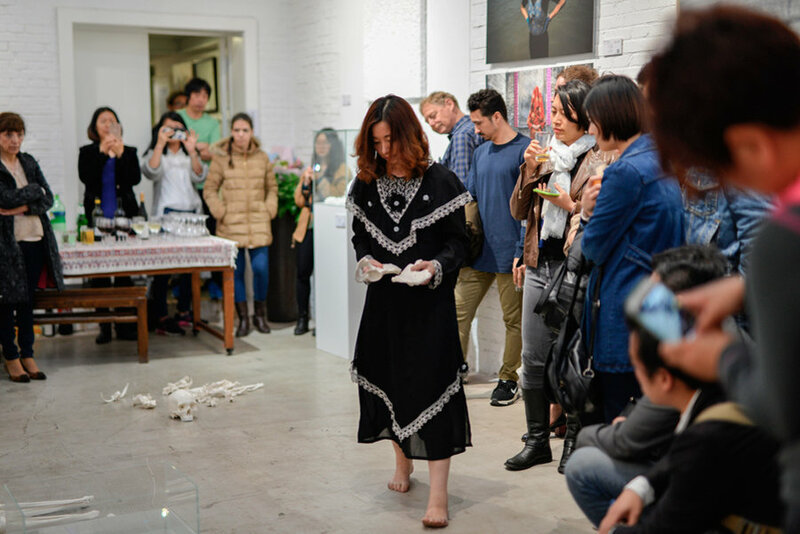 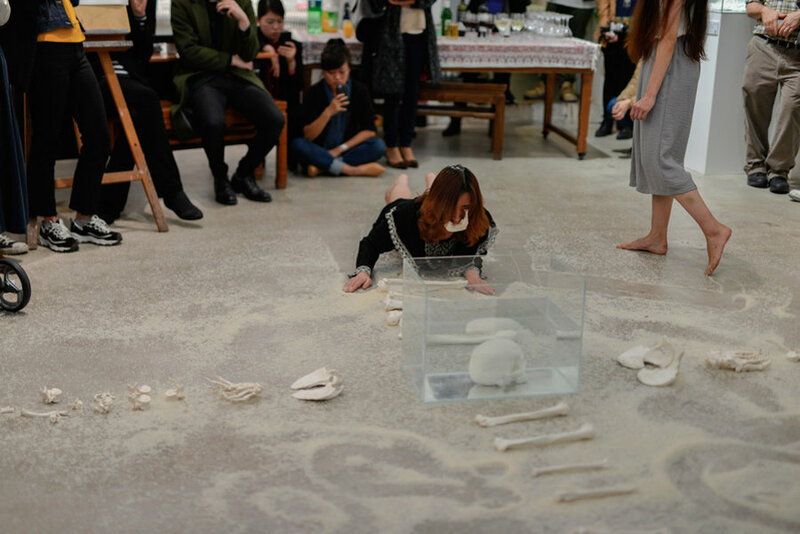 Variations of Drowning’ was performed at the opening on April 21nd 2018. 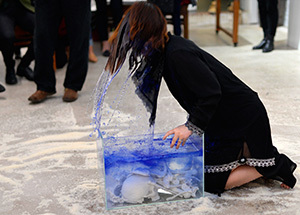 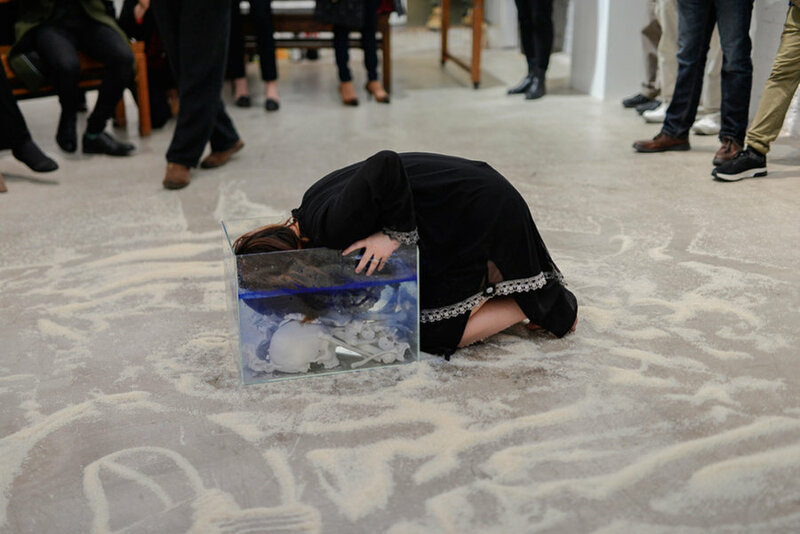 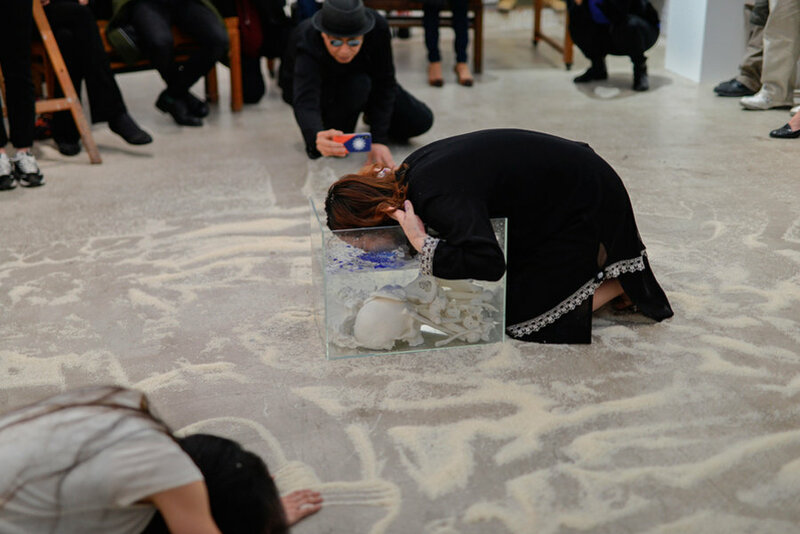 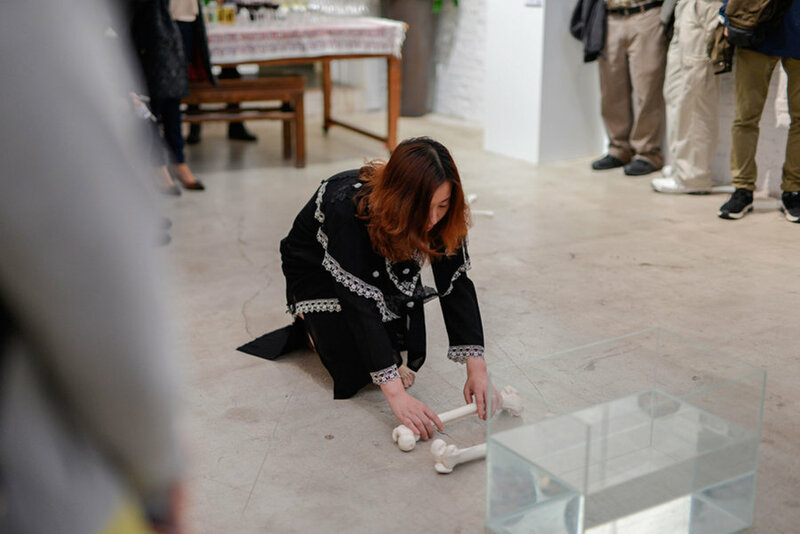 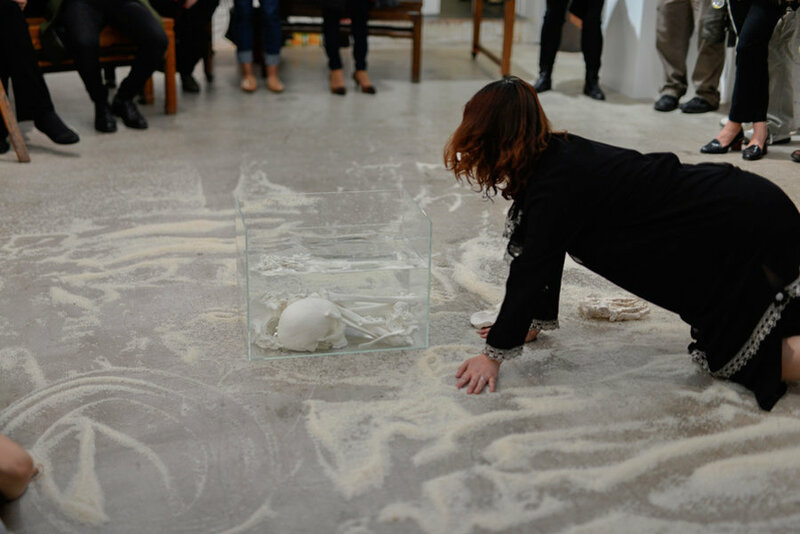 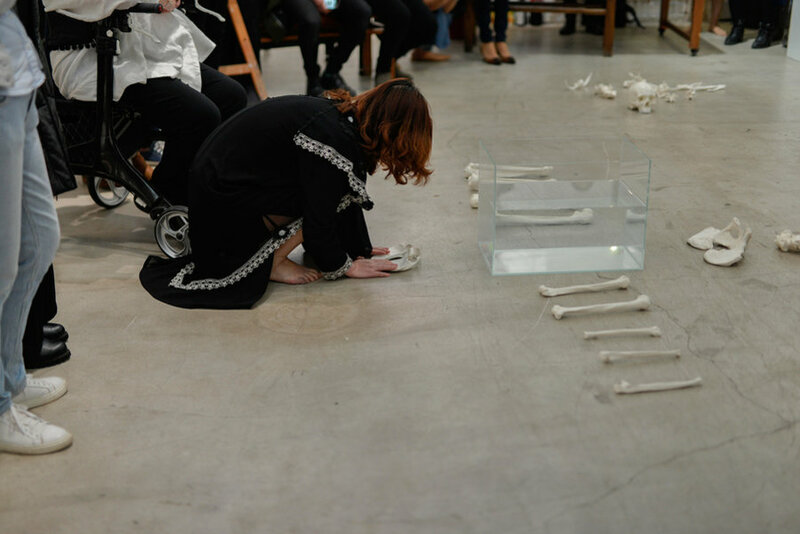 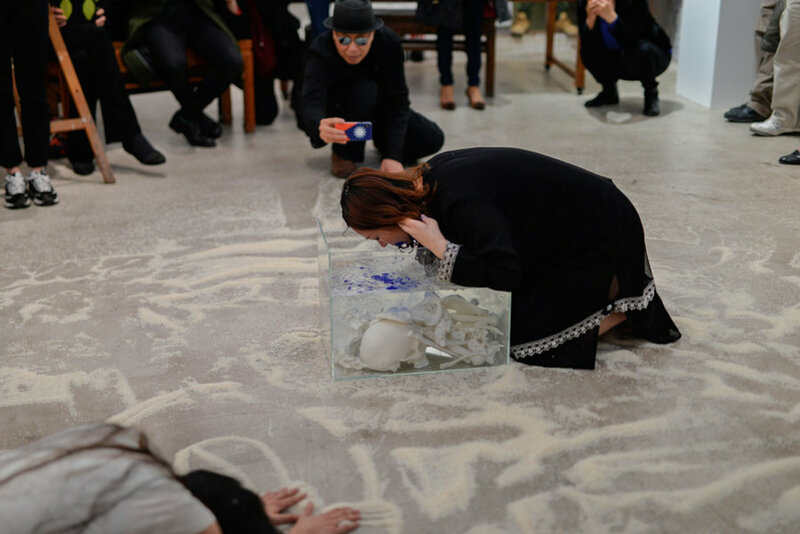 Part of Li Xinmo Performance was based on Paul Celan’s poetry placing individual bones into a tank of water. You grow, as do all the forgotten. 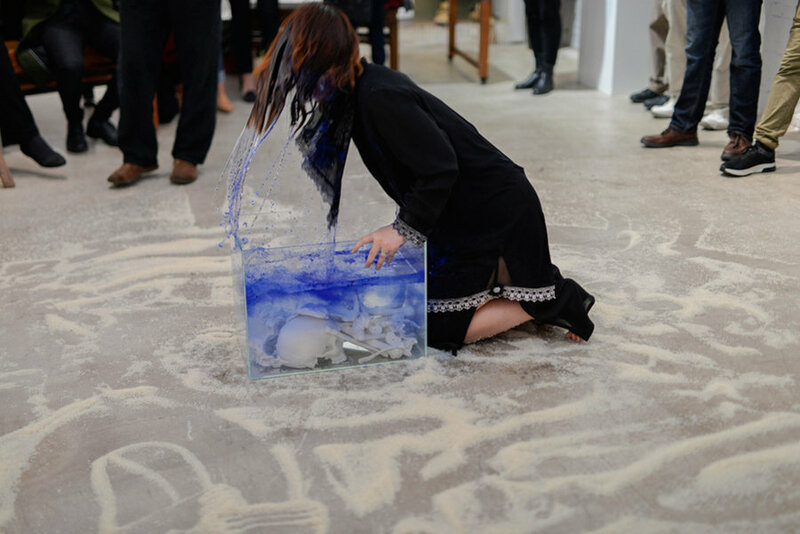 Is caught by a kerchief turned white with waving goodbye. 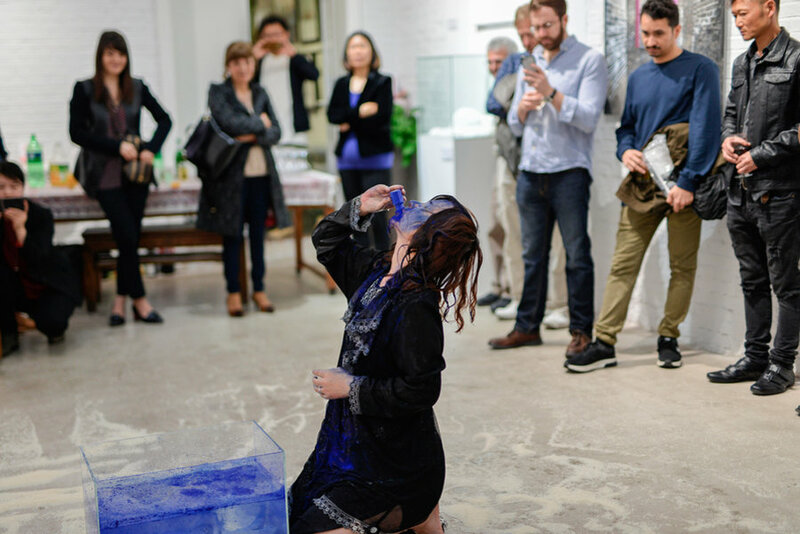 Music by Fenni, dance by Amy Grubb.